The 23rd of IHF Internationales Holzbau-Forum took place from 6 to 8 December 2017 in Garmisch-Partenkirchen, Germany, as part of a comprehensive annual conference programme on wood construction, that will include ten major international events in 2018. 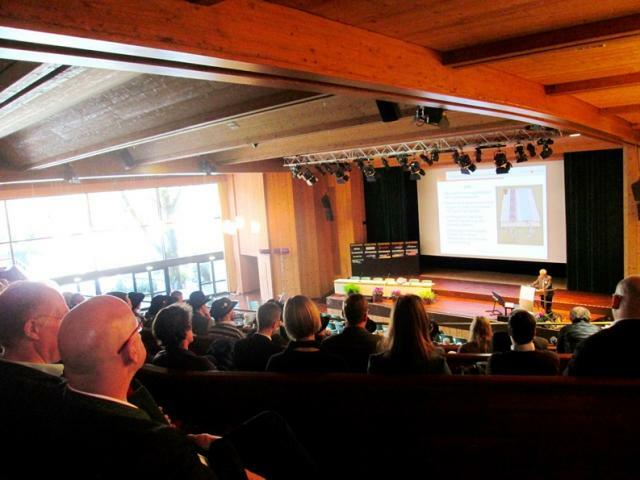 World Furniture attended the Wood Construction Conference in Garmisch this year. A contribution focusing on a selection of themes and visions from the sessions will be published in the March 2018 issue of the magazine. The record edition of the Conference in December 2017 saw the participation of 1700 professionals and involved a selection of leading companies as sponsors and exhibitors. The International Wood Construction Conference provided architects, engineers, builders, building officials, craftspeople, practitioners and professionals with a valuable opportunity to learn about the latest developments and innovation with regard to wood construction, timber engineering, architectural concepts, urban planning involving wood, building industry upheaval, new laws and regulations, and much more.